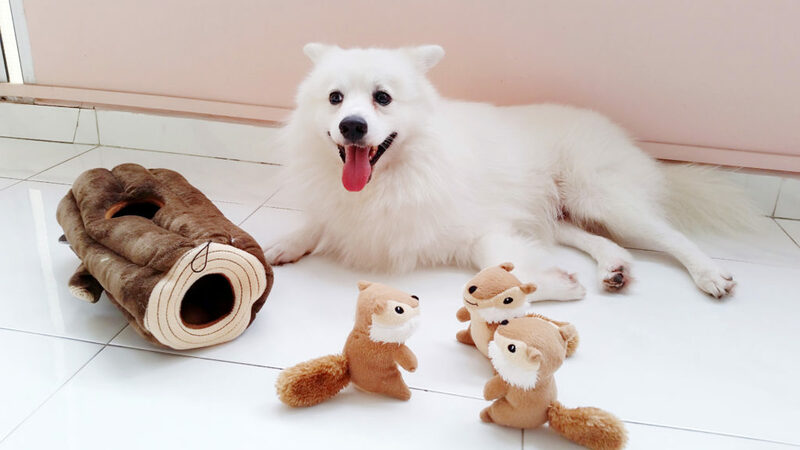 Not too long ago, I was actually shopping at one of the well-known pet “megamarts” in Singapore with my little Japanese Spitz, Yandao, like most other fur-parents. No doubt the shopping part was fun, but alas, the carrying of dog food, together with huge, bulky accessories proved really painful… especially when you’re not driving! I came to know about them just a few days back, and wow, did they have the largest inventory I’ve even seen in an online pet store. 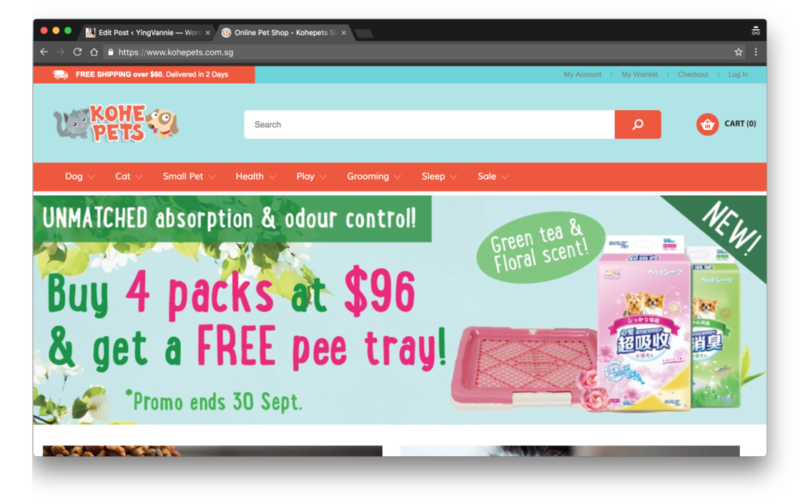 True, they’re not the *only* online pet store in Singapore, but I dare say they have the widest variety of products and arguably amazing prices. Plus, their free delivery quota is only $60!! I don’t really think its feasible for a pet store to ask for a minimum of $200 unless you’re stocking up daily staples such as food(kibbles?) and pee-pads(if your little furry ones do it indoors), etc. 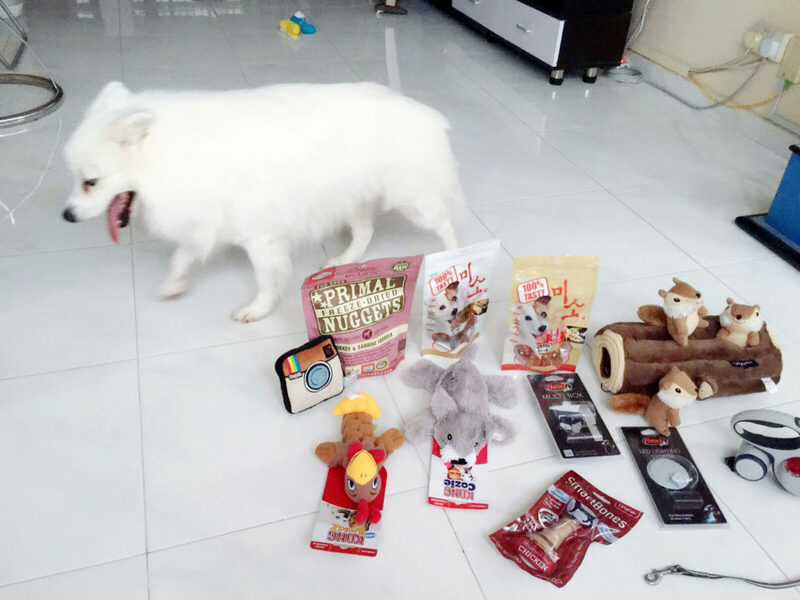 You know especially… on some of the days when you’re a good mood to spend a little extra cash out of the sudden or feel like getting little surprise for your furkid(s). Or else it’s kinda a challenge to “hit” when you’re just trying some stuffs. ? Those of you who know me would actually know that I *love* shopping – but hate all the hassle of carrying loads of stuff back home. I mean, don’t we all? ..and, the best part was, they’re *all* about the freebies. You know how it gets awkward at the pet shop counter when you have to point and ask for a specific “free” item? Not anymore! There’s basically a whole section of freebies which you can grab all you want from in Kohepets, too! Hey, what? There’s a 50% off for Primal freeze-dried dog food? Primal is basically one of the best brands in freeze-dried dog food, and even the most picky of dogs love their freeze-dried dog food which is like, super healthy and good for your furkid! Omg what a steal! 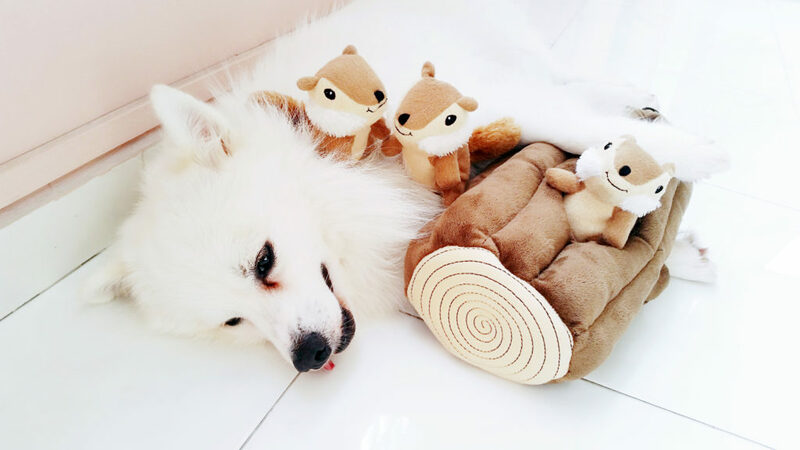 Yandao was really fast in deciding that he liked he ZippyPaws Burrows XL Log Dog Toy best. Within minutes of opening the box, this boy was already looking soooo excited, as you can see…. 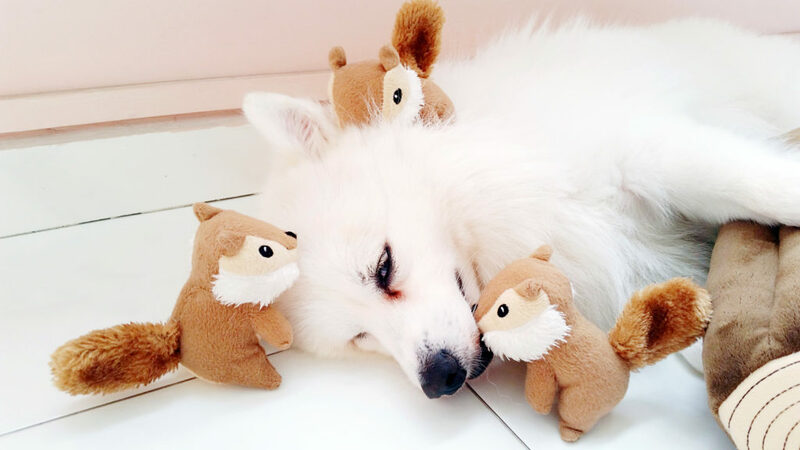 He even turned the squirrels into his personal nap time buddies ? I guess the squirrels were probably just getting cozy with my handsome Spitz… ??? .and then Yandao woke up, and wanted to go for his thrice-a-day neighbourhood walk. 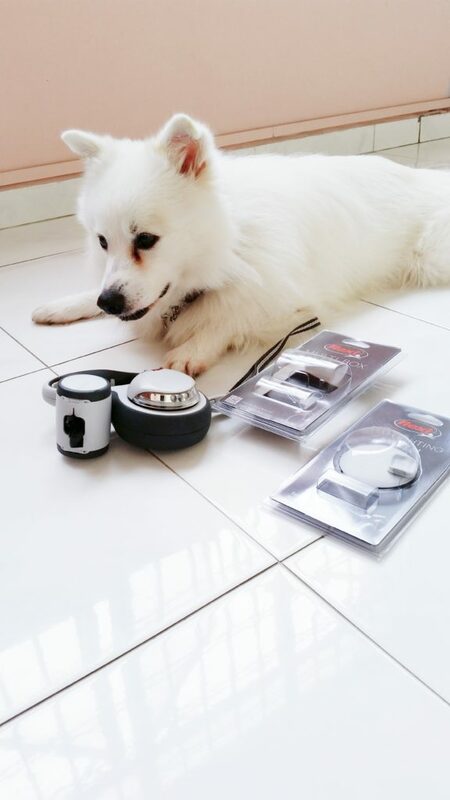 He was actually rather surprised to see his brand new upgraded Flexi Vario leash! Flexi Multi Box (Anthracite) – a really cool multi-purpose addon box to the leash which fits nicely and holds either poo bags or treats! 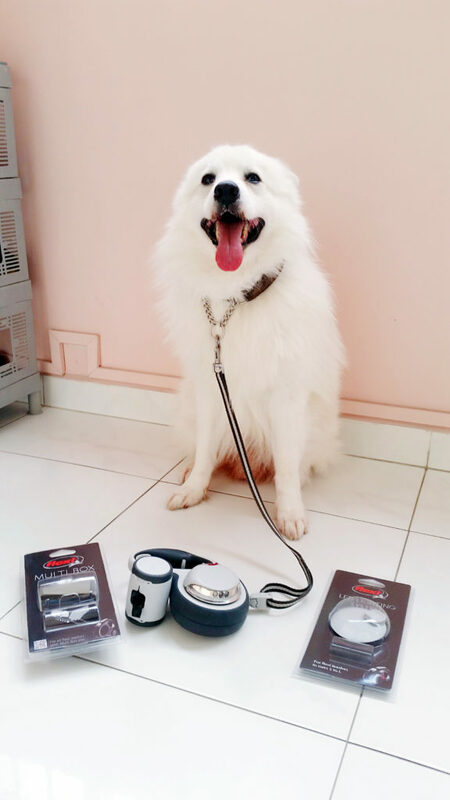 Flexi Vario LED Flash Belt – I often take Yandao down for night walks, and always had to bring a torchlight with me to shine into the grass in case of dog poo! No more! It took him all but a while to contemplate his preference for it, but it turned out all good. ?? Now, we could take him on long walks much more easily in the evenings! No more fumbling with poo bags in pockets, or an extra torchlight! This was truly a useful leash after upgrading it to its full potential. Oh, and guess what Yandao did after his walk? 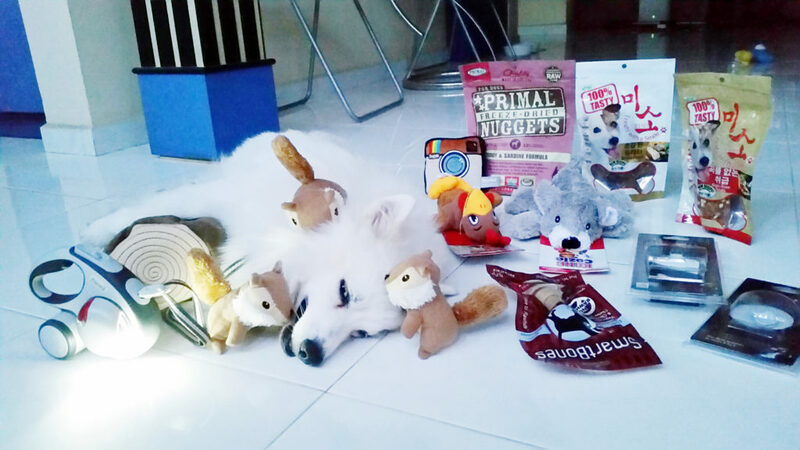 Staking his claim over all his new Kohepets goodies, of course! ? 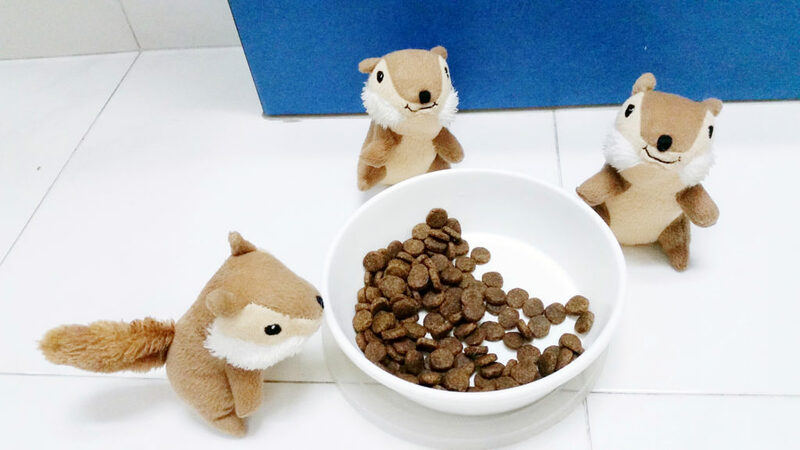 That said, these 3 squirrels were still the MVP in this haul of furkid stuff, and of course, even at mealtime, they serve to encourage my little furry white boy to eat his kibbles (hopefully). 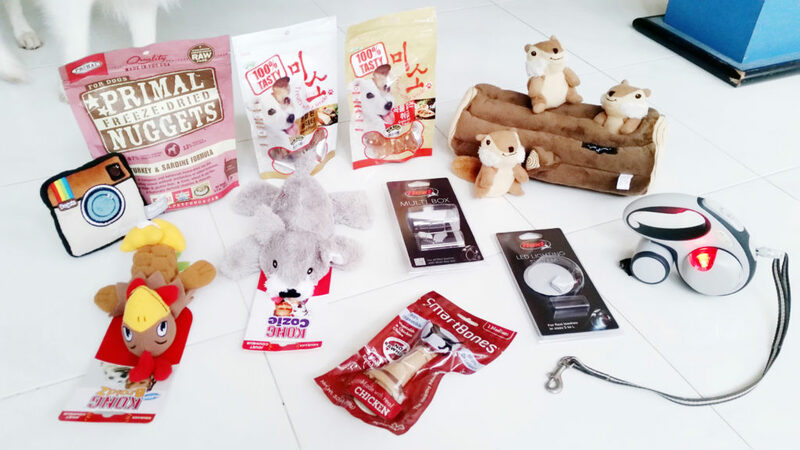 Shopping at Kohepets has been a rather hassle-free experience! Their site is extremely user-friendly, and more importantly, delivery was blazing fast. Of course, having a huge inventory meant that I could get all my pet supplies under one roof. Super convenient! Hey there - you can get all my latest updates via e-mail too! Hello, I'm Vanessa Tan - a professional Events Talent & Model currently residing in Singapore. I also happen to enjoy awesome food and love trying out new stuff! This is my little space to share my life with you. Copyrights © 2016 YingVannie.com. All Rights Reserved.